God is pleased to plant one of the most beautiful flowers on earth and he planted it in Biafra land for His eternal admiration. In the acknowledgement that what God did is good, we joined the host of heaven and sang, "Amen Alleluia For Mazi Nnamdi Kanu is Back." This is no figure of speech. It has happened literally; his appearance is more of glorifying God than mourning; I am thanking God for what God did for him. What is more? something very rare happened: God once again delighted in man. A great intellectual, Nnamdi Kanu laid the foundation of our (IPOB) intellectual prowess. Believe me when I tell you that we are all intellectual prodigies, and it didn't happen by accident. It was him. This is not just something about the gene, which also has to do with other gallant Armies who has remained fearless till this day, he actually worked for it systematically. It was his goal , it is a great privilege to have him as a leader for a struggle as demanding as this, not just because he laid the foundation of IPOB, but also because of the things you are about to read, which by the way are far more important than intellectuality. An egalitarian and moral philosopher, Nnamdi Kanu left us no fat bank accounts, but he left us morally rich. He left us wonderful legacies and a good name. Till tomorrow, wherever and whenever his name is mentioned, people testify that a very good man is who he is . And wise men know that good name is better than money (ezi afa ka ego). Only a fool thinks otherwise. A symbol of selflessness to his people Nnamdi Kanu taught us to be selfless. In his words, "The best way to adore God is to serve fellow man selflessly." 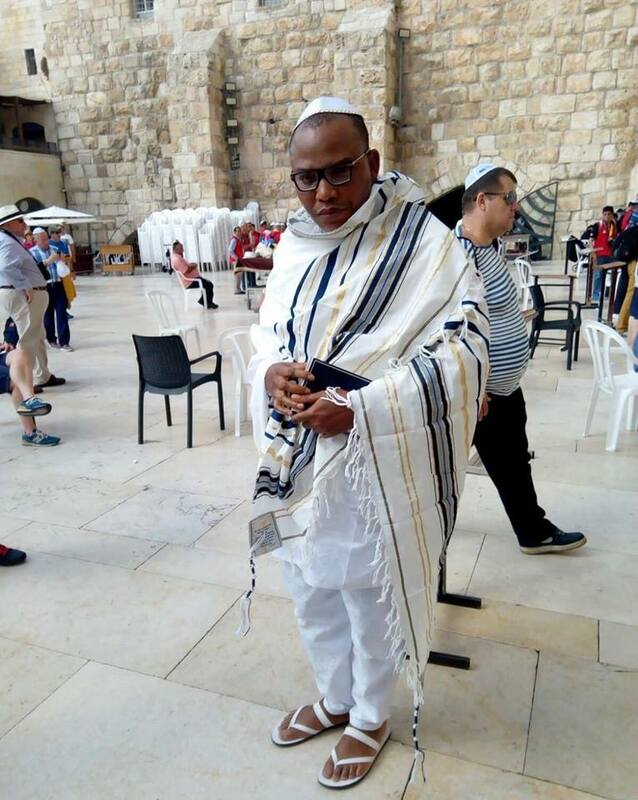 Nnamdi Kanu is the only one of the very few people I know that lived above money, even at the point of an unlawful incarceration he underwent in the hands The Islamic Nigeria agents on the orders of Muhammadu Buhari cloned Aminu Jubril and his cabals. When I say there are very few people I know who live above money, I am not sure if they are up to ten. "Everyone has a price," they say. Well, Nnamdi Kanu made nonsense of that saying. Money never influenced his verdict. A man is truly virtuous if his virtuousness stands the test of money. Money proves to be a huge barrier between people and virtuousness. In a clime where telling lies is seen as smartness or a means that can be justified by the end, Nnamdi Kanu was that man who "If telling the truth means that your head will be cut off, be ready to lose your head." He told us that Nothing will ever justify a lie. And he wasn't just saying it, we saw him live it. We saw him hold onto the truth, no matter the consequences, even when the consequences were seemingly devastating. What a man! Sometimes, I wonder if I would be able to hold onto the truth as much as he did. Do I really have that moral strength? His life is a challenge. There is so much to write about this man who combined many qualities people believe are farfetched, but because of space, let me scribble a few more things. Nnamdi loved everybody. He stood for justice. He fought for the oppressed. He had this burning quest to see that justice always prevailed. n as much as I don't believe in the unity of Nigeria, those who think they control the monopoly of violence or that power begins and ends with them should know that this is no longer the days when they brought about the slogan.. '' one Nigeria '' To keep Nigeria one is a mistake that must not be done. The day when the righteous many will confront the evil few is coming. The day there will be no room For dialogue is coming. Today the politicians from the north to the south-east and west are flexing their muscle while we stand beside to watch. But behold Nnamdi Kanu is here again and indeed the second coming of the great one. NB: Bear in mind that what you just read is no fiction, neither is it another sugarcoated eulogy. The common practice these days is for people to smother the memories of their loved ones with empty praises.